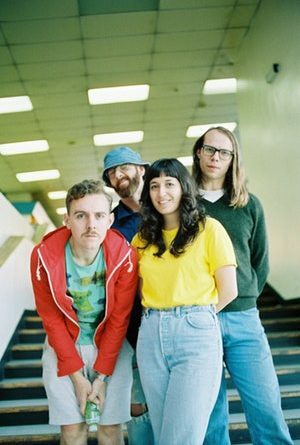 New Zealand four-piece The Beths are coming to the Pacific Northwest for a show at The Timbre Room on October 2nd, 2018. Additional information as well as ticket sales can be found here. The Beths channel their longtime friendship into high-energy guitar pop with a smart lyrical bite. Guitarist, lead vocalist, and primary songwriter Elizabeth Stokes and guitarist Jonathan Pearce attended high school together before meeting up with longtime mates bassist Benjamin Sinclair and drummer Ivan Luketina-Johnston at the University of Auckland, where all four studied jazz. After gigging together in a variety of configurations, the quartet came together for a project exploring the pop and rock sounds of their youth. Everything clicked, and The Beths were born. 2018 was a breakout year for The Beths, beginning with a signing to Carpark Records. A beloved live act across Australia and New Zealand, the band toured the U.S. and Europe, where singles from the forthcoming album Future Me Hates Me got audiences beyond the bottom of the Pacific Ocean hooked on their ebullient sounds. The title track ‘Future Me Hates Me’ has been received enthusiastically, earning radioplay worldwide, and second single ‘Happy Unhappy’ was named ‘Song of the Summer’ by Rolling Stone Magazine. Their freshman album, Future Me Hates Me, also produced by Pearce, arrives on August 10th.